There are some people you just love to be around, right? The ones that are happy, smiley, positive and just plain fun. Well, meet Stephanie and Andy. They are just that couple. 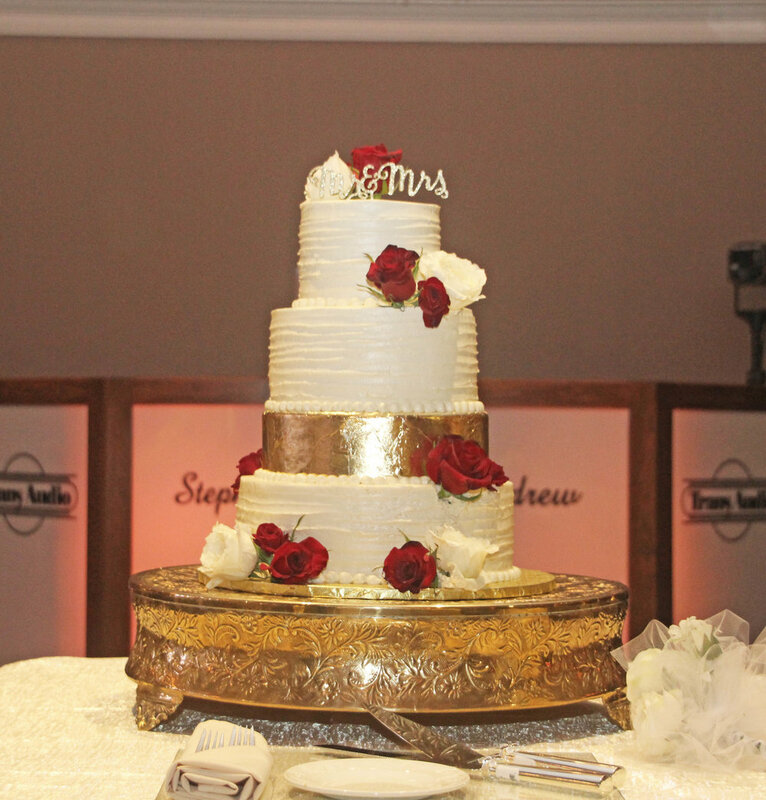 Their wedding was done with a lot of style and class; golds, ivory and touches of burgundy. It was always a pleasure to meet with them whether we were creating their invitations, Andy was trying on different tux styles or we were putting the final pieces into place. Take a look at how lovely it all came together.